The Las Vegas commercial real estate lease market was led by its red-hot industrial sector. Three out of the top five leases, based on dollar value, came from the industrial sector in 2015. Donna Alderson, senior vice president at CBRE in the industrial division in Las Vegas, referred to Las Vegas’ industrial sector as “robust” in 2015. The market saw near-record-breaking net absorption last year. Net absorption was the highest since 2000, said Alderson. The top two leases came from opposite ends of the valley: one in the Southeast and the other in North Las Vegas. 3G Productions took the southeast space with a $15 million lease, giving it the highest value in dollars for 2015. 3G will spend the next 180 months in a 68,200-square-foot space, according to the terms of the lease. 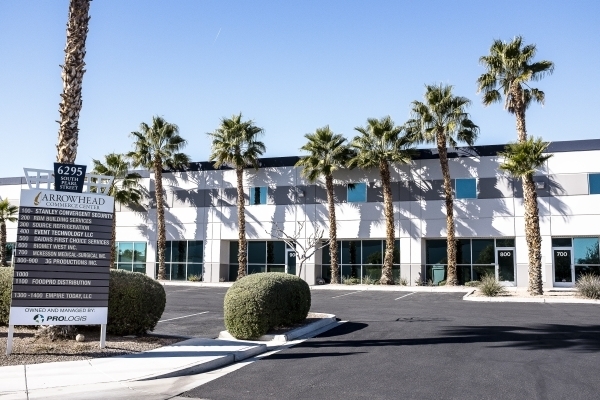 Second up at a $13.21 million value is Western Group Packaging’s lease of the nearly 154,000-square-foot space in North Las Vegas at the Prologis Las Vegas Corporate Center 20 on East Gowan Road. The terms of the lease keeps Western in the valley for the next 186 months. Many companies are following suit with North Las Vegas’ total vacancy rate falling to 3.9 percent during the fourth quarter of 2015. Warehouse space fell to even lower levels of vacancy at 1.4 percent. Not far back, from 2009 to 2011, vacancy was much higher. In 2013, a recovery started to take hold. And over the past several months, several companies have been heading to the Las Vegas industrial zones. Many are characterized as “big box,” larger space with large clear heights, said Alderson. Alderson said there is a lack of diversified space being built. About 2.8 million square feet came online last year in the sector. Another point of note is that the call for space is coming from a diversified group, said Alderson. One area that has seen little diversification is in bringing smaller space, or mid-bay, product into the market, she said. One reason for this phenomenon is the cost of building versus lease rates, industry experts said. Alderson did reference one project being built in the southwest: Parc Post. The 165,000-square-foot, four-building project is set to be built out this summer. Its units are divisible down to 11,000 square feet, according to a release. Large leases are also coming out of the retail sector. J3 Generations LLC, for example, entered into a nearly $10 million lease agreement in 2015. The retail market has been on a positive trend, but retailers are changing up their game plan a little. The way consumers spend is changing the market. “You might pay higher rents, but it’s worth it if you’re in a better location,” he added. Also in the top five lease deals was a Downtown deal by Koeller, Nebeker, Carlson & Haluck — a law firm — at City Centre Place on Fourth Street. The firm took 50,000 square feet of space for the next 92 months for $3.65 million.